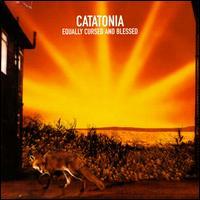 Equally Cursed and Blessed is another breath of fresh pop air from Catatonia. Cerys Matthews' distinctive vocal roars and whispers are in full force throughout these tracks, and the blend of songs on this release surpasses all of Catatonia's prior collections. The first single, the weeping "Dead From the Waist Down" features a full string section, and the magnificent "Karaoke Queen" is backed by a disco beat and razor-sharp guitar hooks. Pure pop like "She's a Millionaire" helps color the album on the brighter side, while the dark, brooding "Bulimic Beats" adds depth. Closing the album is the excellent "Dazed, Beautiful, and Bruised" where Matthews sends off an abusive former lover. Equally Cursed and Blessed could easily be Catatonia's chance to break into the United States, because with music like this, you simply can't go wrong.